Afghanistan. In the heat and dust, young British army medic Elinor Nielson watches an Afghan girl walk into a hail of bullets. But when she runs to help, Ellie finds her gone. Who is she? And what's happened to her? What Ellie discovers makes her question everything she believes in, even her feelings for the American lieutenant who takes her side. 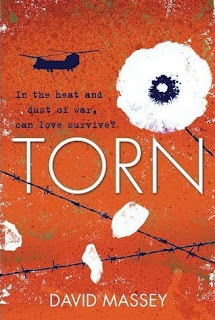 David's debut YA novel TORN was published in August 2012 on the Chicken House/Scholastic label and in hardcover in 2013 in the USA. 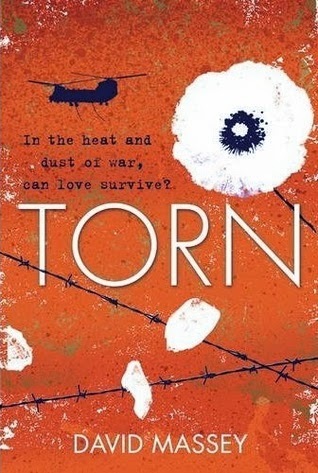 TORN has won the Lancashire Awards Book of the year 2013 and has been nominated in the UK for several other awards including the prestigious Brandford Boase, Leeds Award, and the Coventry Inspiration Award. David's second novel TAKEN is to be released in the UK in March 2014. I like that they are understandable and suspenseful. this book sounds very intriguing ;) Thanks for sharing! The summary ask just enough questions to make you want more answers. I like the character of Ellie and the fact that it sounds interesting. I think the summary sounds interesting and makes you want to read more. The book setting is interesting!